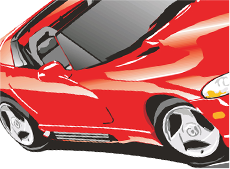 Pass with Ease - Get Your Permit Test Cheat Sheets! Only $9.95 - extremely affordable! Tired of Permit Practice Tests? Our Cheat Sheets Are The Solution You're Seeking! 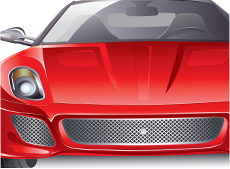 Have you finally reached the age where you can apply for your learner's permit? If you've found your way to this website, the answer to that question is very likely YES - and we imagine you're excited to get started! At DMV Test Cheat Sheets, we can help you pass your learner's permit test or driver's license written exam on your FIRST TRY. Whether you've just turned 15 and want to get your learner's permit or you're ready to finally take your driver's license test and earn permanent driving privileges, our permit test cheat sheets are for you. If these describe you, we have the resource for you. Our cheat sheets provide you with all of the information that you need to pass your exams - in one easy-to-read, simple reference guide. Think of our cheat sheets as a condensed version of our permit practice tests. With this resource at your fingertips, you can practice for the exam and go into your test without worry. 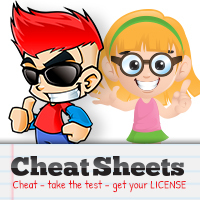 Simply reference your permit test cheat sheet - it's that easy! How it Works: Stop Worrying and Start "Cheating"
Our cheat sheets don't actually provide you with the answers to your test, as driver's license and permit tests are all different. Rather, they provide you with the information that you need to pass your test. You can "cheat" without worrying about actually cheating! Ensure your success and register for our permit test cheat sheets today! It's like a permit practice test, only better! We also offer Cheat Sheets for commercial licenses and motorcycle licenses.